Despite the fact that most items are members only, I do appreciate the brand new winter outfits and the integration of the gender-specific costumes for all genders (i.e. all of the above winter outfits are available regardless of your character’s gender). Just like Worlds, it offers more customization options for certain handheld items and accessories. That’s it for now! Thanks for reading, and I’ll talk to you all very soon… pop on! Does anybody find it really weird that the devs would sometimes make membership stuff for everyone, and make NON-membership stuff be for members, AND EVEN MAKE MEMBERSHIP STUFF THAT WAS MADE FOR EVERYONE FOR ONLY MEMBERS AGAIN. Whats worse is that they didn’t even say they’re for for everyone for a limited time, they just slapped in the members only tag cuz they’re trying to make more money off of a game that isn’t even that popular to begin with… as it was before. Can sombody figure out how large is the dev team of Poptropica now compared to its earlier years? If I remember correctly, I think the fairy queen was non-members. Can someone correct me if I’m wrong? Yeah, before all of the recent store update shenanigans the fairy queen was available to non members. 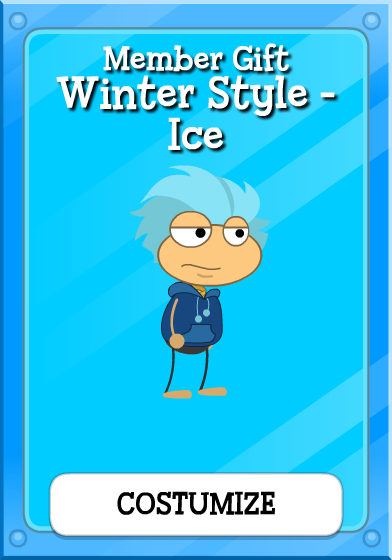 So Poptropica just only has one team that generally works on all sides? After all this, is Poptropica becoming broke? I am really confused on the creators’ plan. Less than a year until flash becomes extinct, and yet they are still updating pop original. Now the pop team has less people? Hardly ever updating the blog in favour of Instagram and Twitter? What are they trying to do? Well, “they” said they have a plan to perserve Pop original, yet they never said. Also since the dev team is cut, I think that’s one of the reasons why work on Poptropica Worlds has stopped. Poptropica worlds being too difficult to program. So, the last question for all this: Is Poptropica broke/ losing money/ have little money (somehow), so therefore that’s why cut the dev team for less employers. And this might be kind of stretched (or not, depending on your view), but possibly also why for all this extra member stuff too. In conclusion (theoretically) why there are very few and infequent updates, why they only brought back returning gold cards from the store, and why they are bringing up these winter outfit costume that are for members only. They sure do. Someone should like make a video or blog post on this matter. Maybe you should Greedy Shadow, you like commment on almost all the posts on the Poptropica Help Blog. Im alright at doing essays or what not, but I’ve never spoken to the general* public before. I mean, I know I don’t have a reason to not be confedent, but I’m just not feeling it if you know what I mean. I know what you mean. This is my first set of exams so I am especially stressed out. I was hoping to enter the community creator contest but didn’t have any time. can anyone make an ASG for this outfit? we need an ASG for this! Magic?! :O Wow! Let me try! Now all that’s left to go is get the winter style – Ice. All I need to get the outfit is to find a poptropican wearing it! It’s that’s simple for me to work my magic!